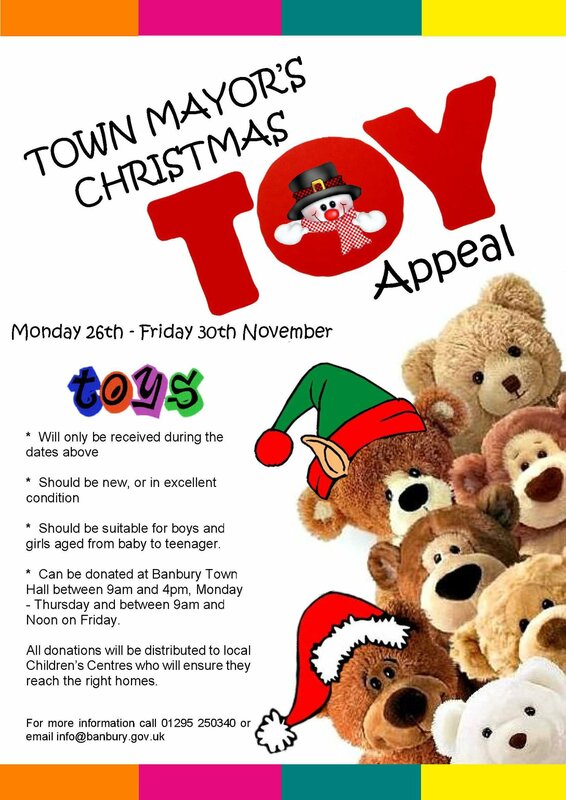 Yesterday saw the start of the ‘Town Mayor’s Christmas Toy Appeal’. Toys should be in new, or excellent second hand condition, and should be suitable for both boys and girls – from baby to teenager. Friday 30th November – between 9:00am – 12:00 noon. Donations are given to local Children’s Centres to distribute.